Dr. Christopher Benac is originally from Portage, Indiana. He is married to his wife, Julie and has a beautiful daughter named Leah. 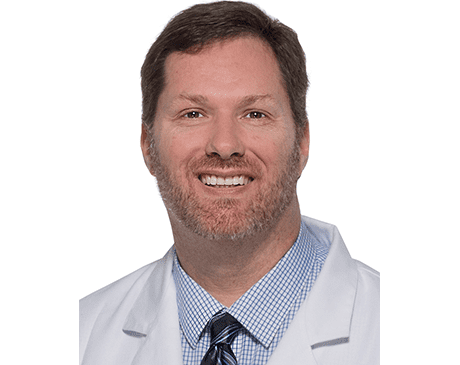 Prior to getting into podiatry, Dr. Benac was a military police officer in the United States Marine Corps for 10 years and was a police officer for the Metropolitan Nashville Police Department for 5 years. He was a volunteer at the Vanderbilt emergency department in 2003. It was there that he developed a passion for medicine, which led him to become a podiatrist. In podiatry school, he was heavily involved in community service and was the community service chairman for 2 years. He organized fundraisers for local charities, such as the Juvenile Diabetes Association. He also organized volunteer events at homeless shelters to provide free medical screening and foot care. Dr. Benac met his wife Julie in Atlanta during residency, and they are excited to start a family in the Nashville area. They are big fans of music, concerts, and karaoke.